﻿I've always been an avid reader and sci-fi / fantasy geek. My journey through the arts has been adventurous: from dance to acting to music, wending my way through landscaping, architecture and construction to finally wind up in technology, video games and writing. My first published book is the wild, gritty, true tale of my own life. Currently working on dark fantasy fiction. Fresh Cut now has 50+ amazing Amazon reviews. Thank you all so much! Fresh Cut Spoiler: The story ends on an ambiguous note - deliberately. But 10 years, 1 marriage, and 2 kids later, "Eve" is doing fine and dandy. Life isn't perfect, but hey, perfect is boring. Life is spectacular and surprising, and that's ever so much better! Immense Gratitude to my fantastic fans, friends, and readers. Couldn't have done it without you. Love and thanks to all. Love the artwork on this page? 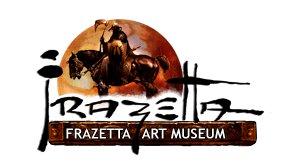 Visit the Frazetta Museum's Site for the complete history of this legendary fantasy artist!